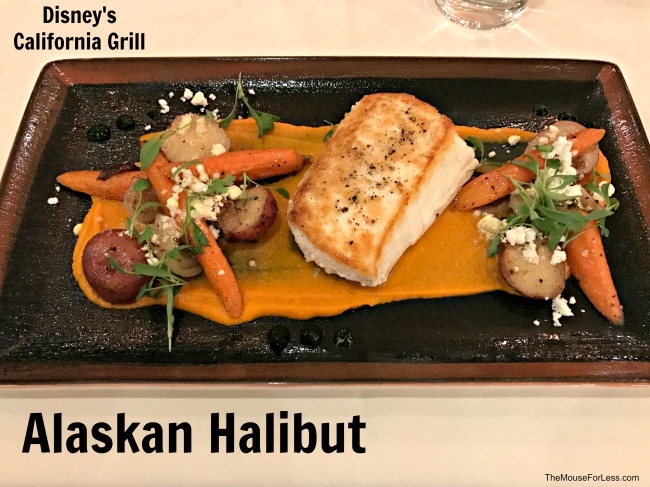 Enjoy a spectacular view and fine dining with a focus on fresh seasonal creations. Opens daily at 5 p.m. Check in at the podium on the second floor before taking an elevator to the 15th floor. Guests who exit the elevator on the 15th floor will notice a new display case with 1,600 bottles of wine on display. California Grill offers club service, delivering a magnum to the table to pour by the glass in a really fun presentation. In all there will be about 250 wines on the list, with more than 20 sommeliers on staff to help guests select a wine pairing. Book your seat at the Sushi Bar to enjoy the 10 to 14 course Omakase Menu. Seatings are at 8:00 p.m. each evening and cost is $175 per person. 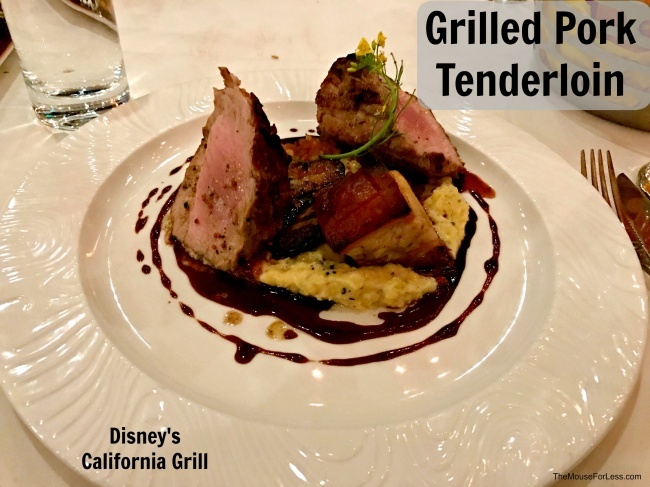 Guests who dine at the restaurant any time during evening can return with their receipts and take advantage of the California Grill’s outdoor fireworks viewing area. Guests looking for a unique experience should consider participating in the Celebration at the Top exclusive dining event. 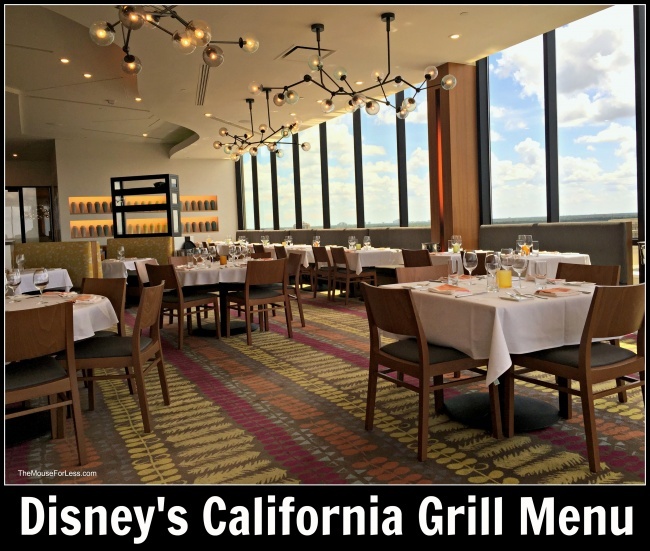 The new ‘Brunch at the Top’ is available at the California Grill on Sundays from 10:00 a.m.-1:00 p.m. Brunch will showcase fresh, market-driven cuisine, an over-the-top Bloody Mary Bar as well as wines, cocktails, craft brews, and a new signature brunch cocktail. 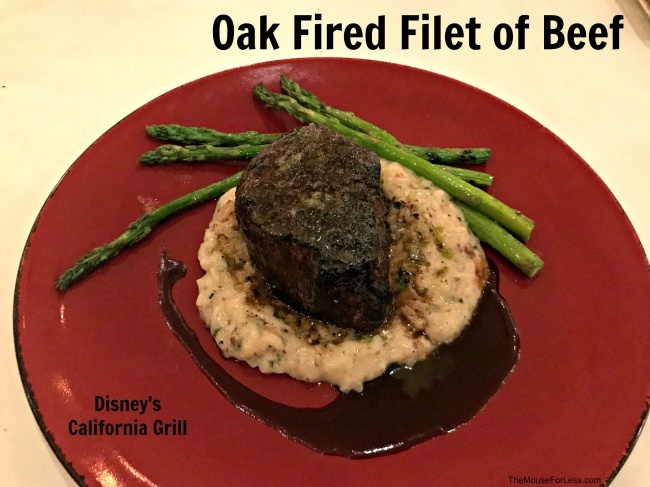 Reservations can be made by visiting DisneyWorld.com/dine or by calling 407-WDW-DINE. Start your experience with an assortment of house-made breakfast pastries and jams delivered to your table. Enjoy a California Grill Signature Brunch Cocktail or Custom Roast California Grill Blend French Press Coffee. Guests will also have the get the chance to interact with the culinary team in the open show kitchen while savoring charcuterie, sushi and market-inspired salads. Finally, enjoy an entree delivered tableside and finish with dessert! Grilled Hanger Steak – Two Eggs-Any Style, Chimichurri, Marble Potato Hash and Charred Red Onion. Book your seat at the Sushi Bar to enjoy the 10 to 14 course Omakase Menu. Seatings are at 8:00 p.m. each evening and cost is $175 per person. A La Carte Dining items are listed below. = Meets Disney Nutrition Guidelines for Complete Meals without substitutions.